The purpose of this event is to introduces the unique cultures of Muslim and increase understanding among different cultures to create peace and harmony. The exhibition will be held on: November 22nd – 23rd, 2011 (11 AM – 4 PM). 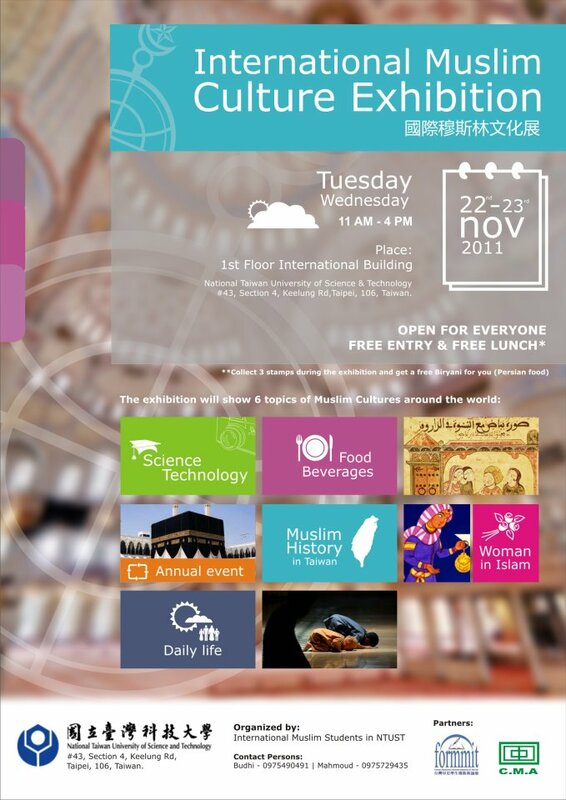 Venue: 1st Floor of International Building, NTUST, Taipei. Feel free to join us with your family and friends. Free entry and free Persian food (Biryani) for everyone. ← How do people face their problems?